Filming is well underway on a new movie about Princess Diana, with Naomi Watts heading the cast. She seems to be pulling off the blonde bouffant and 90s chic pretty well, although there’s a definite hint of Camilla Parker Bowles in the photographs that surfaced today. All a bit awkward. In biopic anticipation, we’ve rounded up the best and worst performances in the genre. Talking of milk, Sean Penn totally convinces as the first openly gay politician elected into power. He mastered the role without resorting to stereotypes, and it won him a second Academy award. There’s even a rumour that the ghost of Milk himself was enjoying the filming from an on-set sofa. If that’s not a flattering endorsement then we don’t know what is. p to achieve a likeness, and that transformation wasn’t just physical. She adopted killer’s persona with disturbing realness, playing cold-hearted killer and generous lover all at once. Difficult but rewarding stuff. What do you get when Diana Ross pretends to be a drug addict? Billie Holiday, apparently. It’s not that she was bad – she got nominated for an Oscar for her performance – but she didn’t look or sound anything like the first lady of jazz. Lessons learned: Diana Ross is best as Diana Ross. Putting a white flower in your hair doesn’t make you Billie Holiday. A lot of things come to mind with the name Alexander the Great. Blonde highlights and a Dublin accent generally don’t. Nevertheless, Colin Farrell managed to bring both to the role in Oliver Stone’s historically inaccurate Alexander. Inhabiting the vein of bio-epics like King Arthur and Troy, the movie continues to enrage historians and critics alike – probably not the sort of legacy that was intended for it. Robbed of his fangs and handed a parade of bad wigs and moustaches, R-Pattz just doesn’t convince as tortured genius Salvador Dali. Little Ashes sells itself as a hard-hitting drama, but unfortunately it garnered most attention from squealing Twihards who want to see Edward Cullen getting naked and kissing boys. 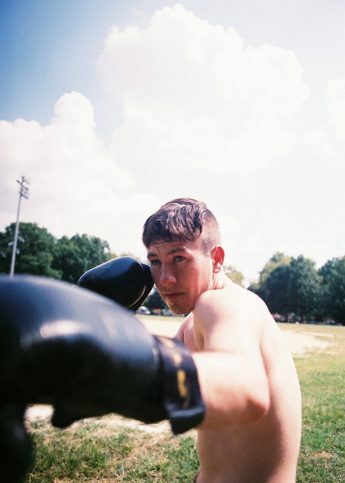 Get to know Barry Keoghan, the Dunkirk star who is mates with Colin Farrell and has starred in some of the biggest films of the last two years.